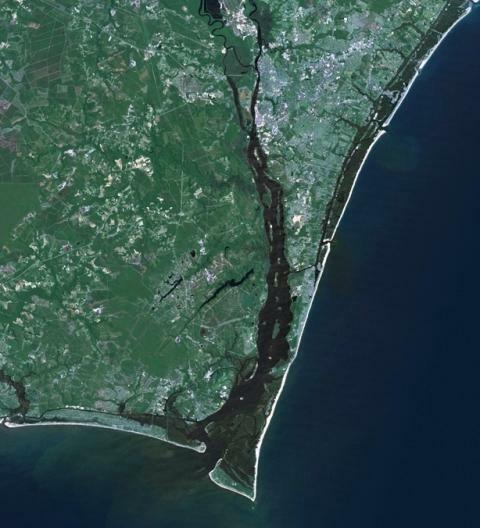 The Coastal Policy Reform Act of 2013 has now passed both Chambers of the General Assembly and is headed to the Governor’s desk. The final version of Senate Bill 151, designed to make it easier for beach communities to install terminal groins for erosion control, passed the Senate 28 to 5. The first draft of the Coastal Policy Reform Act of 2013 provoked shock – even outrage among some environmental watchdog groups around the state. The bill makes it easier for beach communities to get through the terminal groin permitting process – largely by removing what had been prohibitive financial requirements. And while the North Carolina Coastal Federation is an outspoken opponent of the erosion control devices, spokesman Mike Giles says his group is happy that lawmakers kept the statewide limit of four groins in place. Giles credits Representatives Rick Catlin of New Hanover County and Chris Millis of Pender County with modifying the final legislation to preserve what will be a terminal groin pilot program for the state. To read the Coastal Policy Reform Act of 2013, click here. Update: The Coastal Policy Reform Act of 2013 has passed its second reading in the House. This article was modified to reflect a correction. The cap on the number of terminal groins allowed in the state, according to the most recent version of the Coastal Policy Reform Act of 2013, is four. Today, state leaders in the House could consider a bill that would ease financial requirements for beach communities looking to install a terminal groin. A new bill that would lift the cap on the number of terminal groins allowed in the state passed the Senate Wednesday. This article was modified to correct the terminal groins cap retained in the most recent version of the bill. The Coastal Policy Reform Act of 2013 has passed its second reading in the North Carolina House.